When a man decides to get married, the chances are some of his friends and relatives will immediately start to think about the stag celebrations. There is nothing more enjoyable than waving goodbye to single life in style, and that’s why so many people head abroad to some of the world’s sun-spots for a few days. If the guys in question have a passion for golf, they should be making plans to visit the beautiful and vibrant Vilamoura in Portugal. Located in the sun-kissed Algarve region, it offers a range of spectacular courses to make the days perfect and, as you might expect, plenty of nightlife to ensure the evenings are full of fun as well. The area around Vilamoura has expanded in recent years thanks to the presence of a number of golf developments which have taken shape. These days, courses such as Quinta do Lago (North and South), Monte Rei, Victoria and Pinhal attract a huge number of players from across Europe, many of whom return year after year to enjoy them again. Players from the northern half of the continent are always pleased to play golf in the sunshine, of course, but playing on the Algarve is more than just a chance to enjoy the higher temperatures. The courses offer some truly spectacular views of the surrounding countryside and many of those which are located close to the coastline offer spectacular seascapes as well. It goes without saying, however, that no stag weekend would be complete without a generous dose of nightlife, and the town of Vilamoura never disappoints. Mainly centred around the beautiful marina, there are plenty of bars, restaurants and clubs to choose from, so whichever vibe you happen to be looking for will be found nearby. Eating, drinking and dancing into the wee small hours is all part of the Algarve experience, and there will be places to suit every reveller from eighteen to eighty. The Portuguese people are extremely friendly in nature, and they will expect you to have a good time when you’re in town. 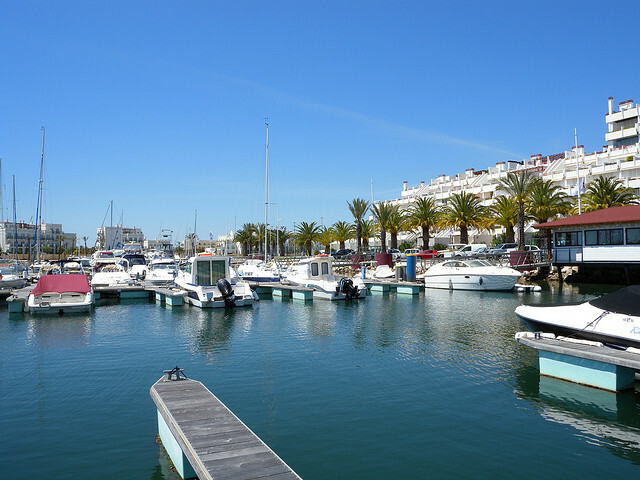 One of the most popular places to congregate in Vilamoura is the town’s casino, which is just a few yards away from the marina. Whether you’re an experienced high-roller or a novice when it comes to gambling, you should try your luck at least once here. As well as the usual array of gaming tables, you can also enjoy dinner and a live show at this wonderful venue. David Showell has visited Vilamoura on several occasions. He lives in the UK and works for 121carhire.com.